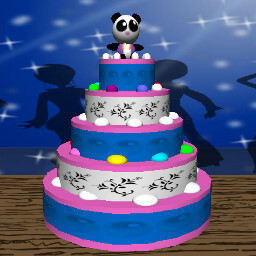 Design gorgeous and delicious cakes in 3D, with lots of layers, add decoration, candles, candy, chocolate, toys, lollipop, teddies, etc. 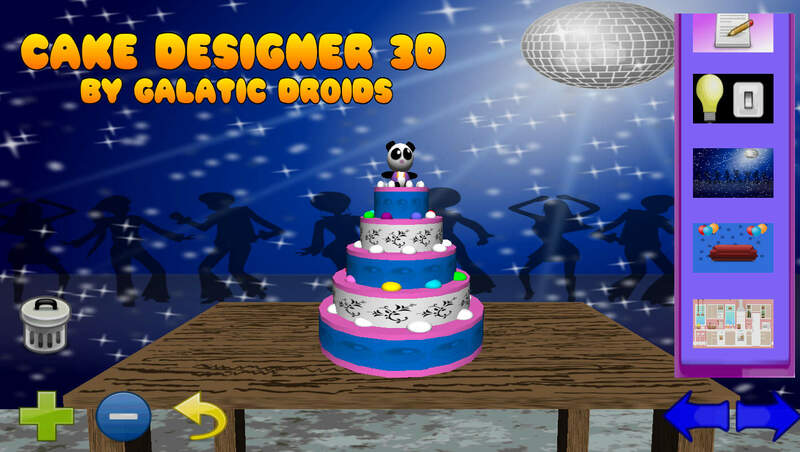 All the time the cake is slowing revolving around in stunning 3D. Design that perfect birthday cake for your friends and family, smother with chocolate chips, sweets. You can even add sparkler fireworks then turn the lights off that extra special party or wedding cake. Its very quick and easy to design a stunning cake, click on a sponge layer, change the size if you like and add some decoration. Then add more layers, or columns to make a multi layer cake and add even more decoration & toppings as you go. Finally add a topper :- teddy, stack of lollipops, sparkler etc. Its that easy, you'll soon be designing giant mega cakes with layers of chocolate, icing, strawberry, orange etc. The sky is the limit.